Another Christmas, another occasion for you to figure out what to buy your friends and family. If your loved ones are English majors–or even just a bookworms–gift-giving can be an easy task. But if you want to make the gift a little more personal than a Barnes & Noble gift card, check out these 10 Christmas books that are sure to entice any avid reader. This is not your typical heartwarming Christmas book, but it’s a great read nonetheless. 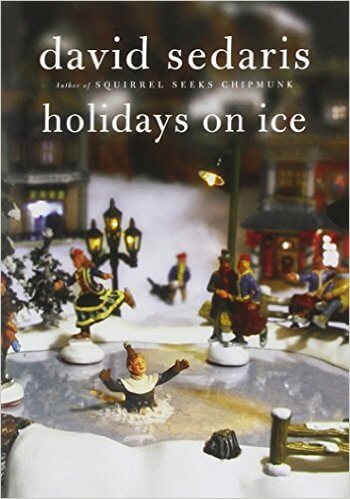 Holidays on Ice is a satirical book of short stories about the holidays. Sedaris writes funny and sometimes dark tales about Christmas and the holiday season, and newer versions of the book even touch on other holidays like Easter and Halloween. You can buy it easily (and fairly cheaply) on Amazon, at Barnes & Noble or from most booksellers. This is a great choice for the reader in the family who likes to look at Christmas in a realistic yet amusing way. 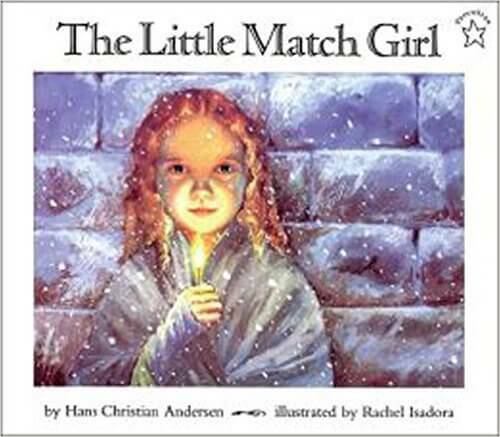 Like most of Hans Christian Andersen’s work, The Little Match Girl is one of the darker tales fit for Christmas. Andersen tells the story of a little girl who sells matches on the street–on New Year’s Eve–to make money for her family because they’re all cold and starving. 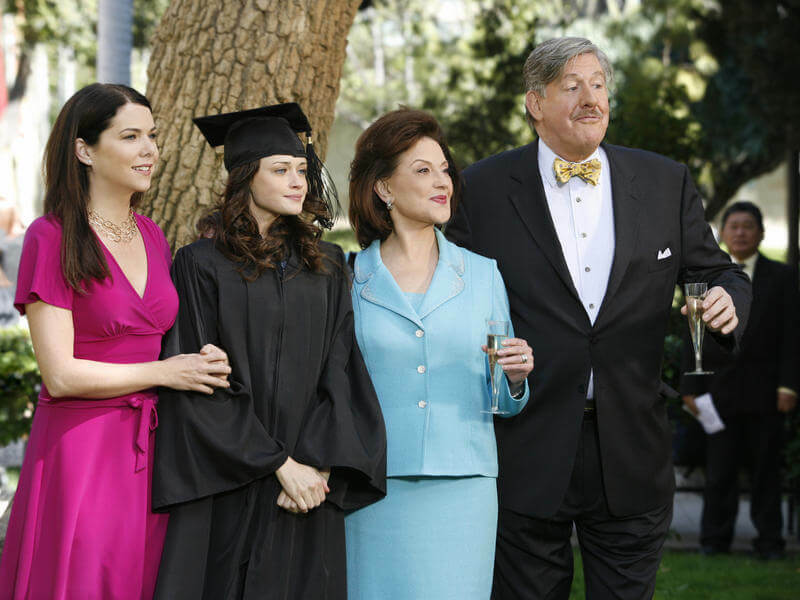 *SPOILER ALERT* As she dies, she thinks of her grandmother and then finally meets her in heaven. This might upset whomever you give it to, but the story–albeit sad–is beautiful; and the most popular version comes with gorgeous illustrations by Rachel Isadora. Despite the inevitable tears, it might inspire the book’s inheritor to give a bit more to charity in 2016. Tolkien famously wrote The Lord of the Rings trilogy (and a million other books in that universe), but he also wrote a lot just for his own children. 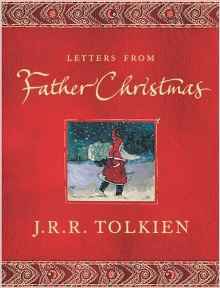 Letters from Father Christmas was published posthumously by the Tolkiens, and was originally not meant for the general public. Each Christmas, the fantasy writer extraordinaire would write an elaborate letter to his children from Santa Claus. This book is essentially just a compilation of all those letters. Sweet, joyful and funny, this is a great item to get any book lover, especially Tolkien fans. 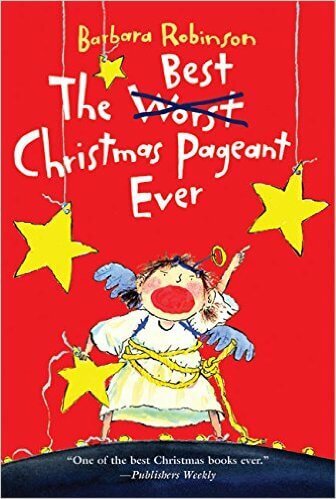 Not the most famous book on the list but one that’s very popular and highly acclaimed, The Best Christmas Pageant Ever is great for those looking for a funny read that still touches the heart. This book tells the story of a bunch of rambunctious and stereotypically “awful” kids who audition for the town Christmas pageant, end up getting the starring roles and hear the story of the birth of Christ for the first time as they reenact it with the other townspeople. This book is great for friends and family who value children’s books with mature messages. And this is one you perhaps haven’t read before, but is still overtly Christmassy. People know A Charlie Brown Christmas from the cute, classic film, but before Peanuts were animated, they were comic strips. 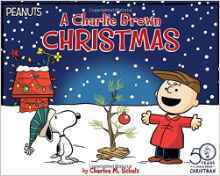 This book brings the Christmas Charlie Brown story back to its roots in a non-moving picture book that follows the plot of the movie. A Charlie Brown Christmas reminds readers of the true meaning of Christmas: You don’t need a big, fancy tree and tons of presents to celebrate what Christmas is really all about. As an added bonus, the 50th anniversary edition comes out this year, so if your loved one is a big Charlie Brown fan, you can get him or her an extra special copy of the book. Everyone knows the story of the Nutcracker, and most know it from Tchaikovsky’s famous ballet. 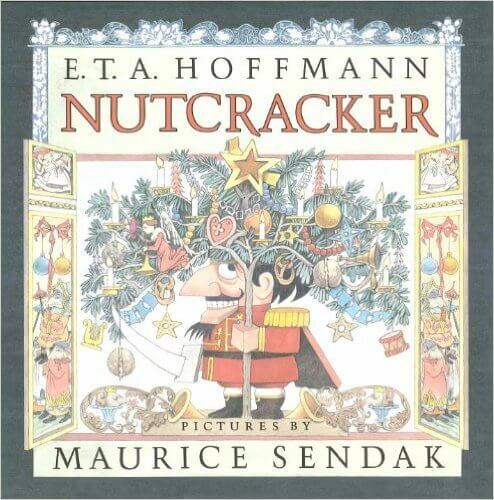 But before there was the ballet, E.T.A Hoffman wrote the Nutcracker in 1816. The story appears in so many different forms and has so much influence on Christmas culture that it’s hard to settle on one. This version in hardcover is a little pricier than some of the other books on the list, but the gorgeous illustrations and quality will help you get over the slight dent in your wallet. Plus, it was illustrated by Maurice Sendak, the illustrator and author of Where the Wild Things Are. This book is great for those who want the simple story of the Nutcracker Clara-fied for them (get it?). 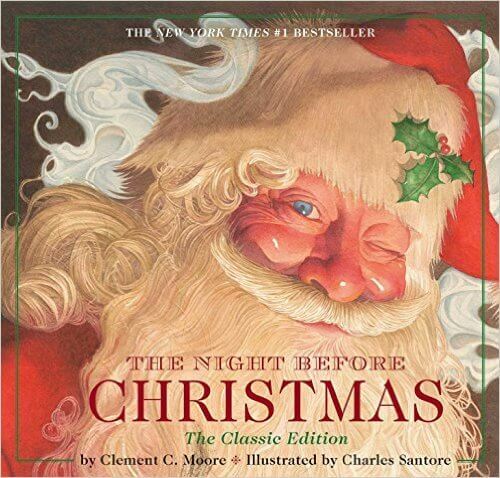 This book isn’t as old as many of the other classic tales on this list, but the story exudes Christmas spirit so well that it’s managed to become a classic in such a short time. 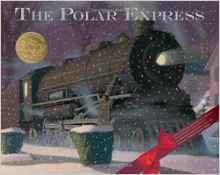 Allsburg tells a story–complete with beautiful illustrations!–of a young boy who sees a train outside his house on the night of Christmas Eve, boards it and journeys to the North Pole to meet Santa Claus. The story is simple but sweet, with arguably some of the best ending lines in Christmas lit history. This book is great for sentimental people, or maybe even more so for those who need reminding of how magical the Christmas spirit can be. 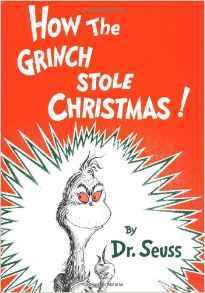 Like other Dr. Seuss books, How the Grinch Stole Christmas! is than meets the eye. Seuss actually makes a statement against the commercialization of Christmas, something so many of us forget as we’re scouring our local malls for every new iPhone accessory. So even though this one is another kid’s book, it impacts people of every age. Moviemakers have adapted the story many times, from the thirty-minute animated version to the Jim Carrey blockbuster, but none of them ring as poignantly as Dr. Seuss’s picture book. You can get it in many different editions, and fairly cheaply on Amazon. Christmas itself is pretty much synonymous with this poem. If you don’t know at least the first few lines, it’s highly likely you’ve been living under a rock for most of your life. There are tons of editions and adaptations (like Tim Burton’s The Nightmare Before Christmas), and you can find whatever illustrations you want with the classic text. Charles Santore illustrated the most classic and heartwarming version. We can’t think of Santa climbing down the chimney without also reciting this poem. Dickens is the master of a lot of things, and evidently, writing Christmas books is one of them. Even if A Christmas Carol is still sitting on your list of “Books to Read When I Have Free Time,” you probably know the story pretty well already. Dickens narrates the story of Ebenezer Scrooge, an old miserable penny-pinching soul; thanks to the visit of three ghosts, Scrooge learns to love, be a good person and spread Christmas joy. This book was published 1843, and after all these years, has never been out of print even once. If that’s not every writer’s Christmas wish, I don’t know what is. 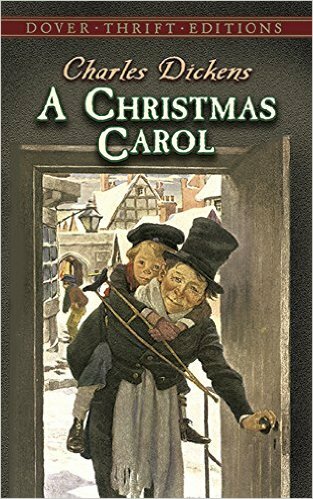 A Christmas Carol is the quintessential Christmas book, and the quintessential Christmas story, making it the best book to give to a friend or family bookworm.